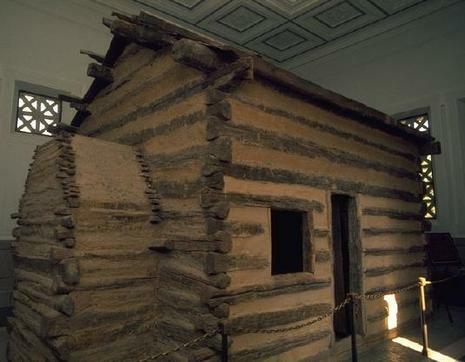 Abraham Lincoln was born on February 12, 1809, to Thomas Lincoln and Nancy Hanks, two uneducated farmers, in a one-room log cabin on the 348-acre (1.4 km2) Sinking Spring Farm, in southeast Hardin County, Kentucky (now part of LaRue County), making him the first president born west of the Appalachians. Lincoln was not given a middle name. Lincoln's ancestor Samuel Lincoln had arrived in Hingham, Massachusetts from England in the 17th century, but his descendants had gradually moved west, from Pennsylvania to Virginia and then westward to the frontier. 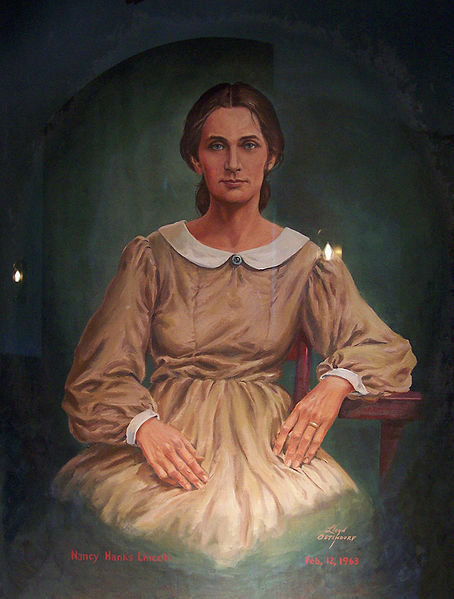 NANCY HANKS LINCOLN, birth mother of Abraham Lincoln, was born on February 5, 1784, in Hampshire County, (West) Virginia. The birth occurred in a cabin along Mike's Run at the foot of New Creek Mountain in what is now Mineral County, West Virginia. Nancy's mother was Lucy Hanks, but nothing is really known for certain about Nancy's father. 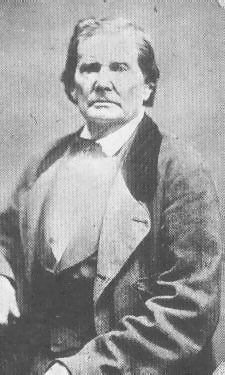 According to Abraham Lincoln's law partner, William Herndon, Abraham once said that his maternal grandfather was "a well-bred Virginia farmer or planter." During the same conversation, Abraham said of his mother, "God bless my mother; all that I am or ever hope to be I owe to her."